LazyOne ladies nightshirts keep you warm in the winter, so you'll be as snug as a bug. These PJ tees are made to keep you cool in the summer, for maximum comfort while sleeping. Featuring raw-edge contrasting trim and a roomy fit. 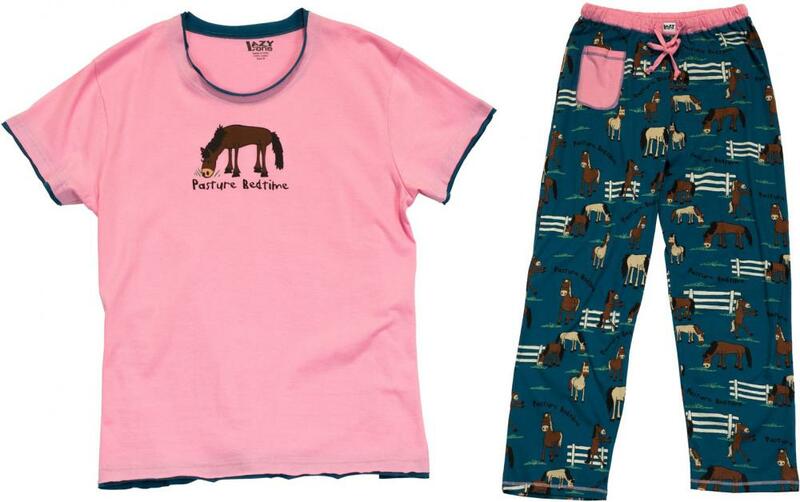 Women's pyjama T-shirts are great for mix-and-match fun! 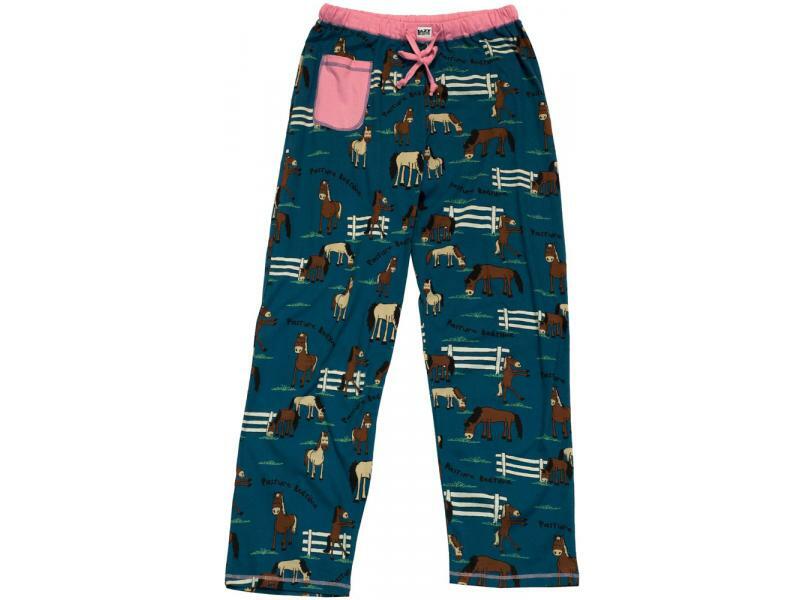 The ladies pyjama trousers are just the right retire attire for you. Complete with drawstring and elastic waistband, PJ trousers have no fly and are roomy for comfort. 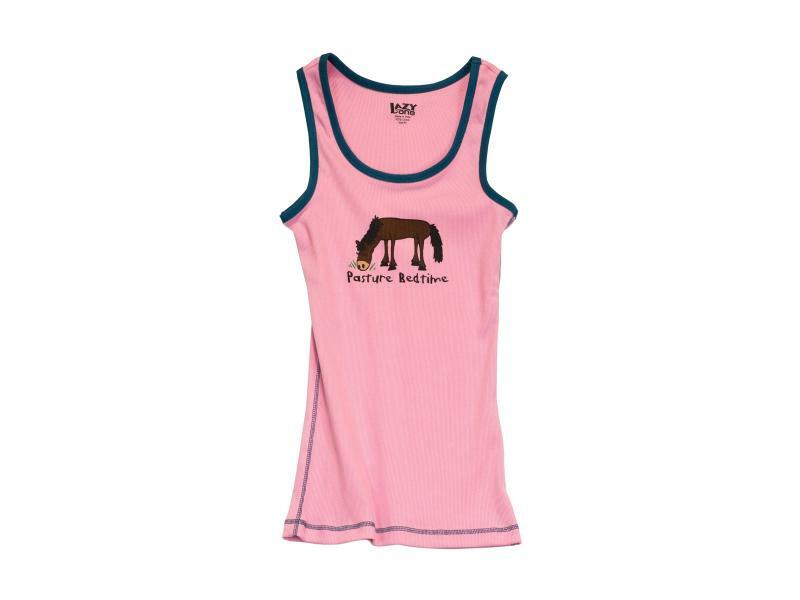 The unisex pyjama tank tops are made with extremely comfortable ribbed cotton which closely fits the body. The contrasting colours around neck and sleeves add for a sassy style. Great for warm nights. 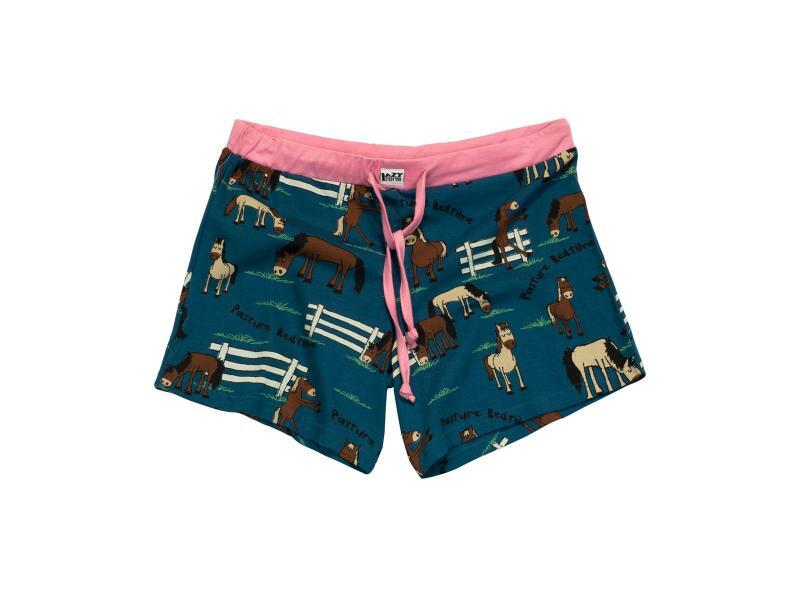 The spacious and roomy boxer shorts have no pockets or fly, but include a drawstring and elastic waistband for that custom fit. Great for warm nights. 100% cotton. 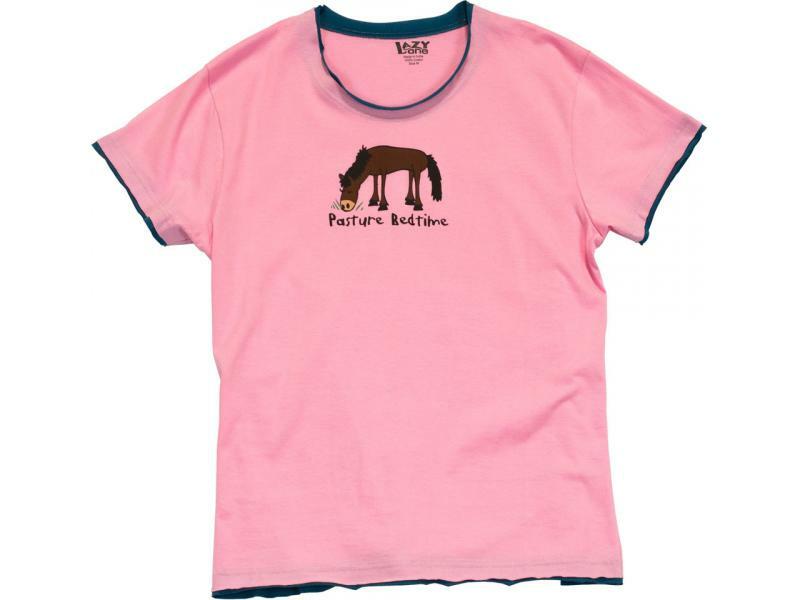 There are currently no questions for LazyOne Pasture Bedtime Pyjamas - be the first to ask one!